If you don't absolutely love your item(s) from The Crab Bag , send them back within 30 days of receipt for easy returns & exchanges on all qualifying orders. All you need to cover is the return shipping - we take care of the rest. We accept returns on your original form of payment for a minimum $6.00 restocking fee per item, exchanges have no fee. Returns must be sent back within 30 days of delivery. Product must not have been worn, washed, or altered in any way. All applicable tags must be intact and the product returned in their original packaging. The items must be mailed back with the original packing slip included. We do not accept returns on final sale items, discounted items, jewelry, intimate items, and exclusive run items. Step 1 || Submit a return or exchange request within 30 days of receiving your order. Choose from exchange ,or a refund to the original payment method. If you have received the wrong/damaged item, or if your order was incomplete, please notify us within 3 business days upon receiving the package. We will send you a pre-paid return label for the return. If you have received a damaged item, or if your order was incomplete, please notify us within 3 business days upon receiving the package. We will send you a pre-paid return label for the return. We do not refund for return shipping costs if you do not request a pre-paid return label as stated above. After your return has been processed it will typically take 2-5 days for the funds to shown on your bank statement. Return shipping is non-refundable, unless you receive damaged, defective or wrong item(s). Any orders sent with "Free Shipping" will be subject to the original shipping fee deducted from the total amount of the refund. 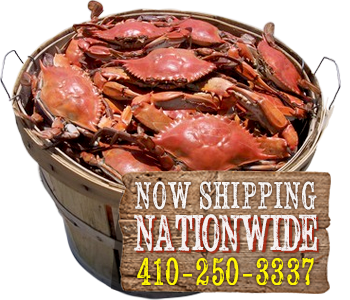 Customers have 30 days to send back purchases made at The Crab Bag online store. Returns postmarked after 30 days will be refused and sent back at the customer's expense. Return labels may only be used once. The label is ONLY to be used to return the order it was created for. Returns MUST be sent back in the bag they were received in. Any fees incurred from shipping the package back to us will be deducted from your refund amount. Returns that show ANY type of signs of wear, damage, scents, or alterations will NOT be accepted and will be sent back to the customer at their expense. A $2.50 restocking fee will be withheld from any return received without it’s original packaging or tags. All shipping charges, and gift cards, are nonrefundable and nontransferable. Limit 1 prepaid return shipping label per order. We are not responsible for lost/ damaged returns or packages. It is the customer’s responsibility to follow all directions - if the package is sent back to you with postage due it is the customer’s responsibility. The Crab Bag will not reimburse additional charges. If you return over $250 in a 3 month period you may be subject to a modified return policy. We will contact you directly via email if you are no longer eligible for our general return policy.